Thanks to its proximity to large bodies of water — including two of the world’s largest lakes, which allow the falls to be the wonder that they are — the Niagara region enjoys a mild climate relative to its surroundings in New York and Ontario. While deep winter can get nippy, generally the area around Niagara Falls is temperate, which makes the region ideal for growing sweet, natural treats. While Niagara Falls might be known for its world-class vineyards, it is cultivating a reputation for its orchards, as well. Niagara’s fruit crop is copious, containing peaches, pears, plums, cherries, rspberries, and strawberries. In fact, the peach, cherry, and strawberry harvest is so immense that the region celebrates the fruits with three huge festivals every summer. While this year’s fruit festivals have just passed, you can plan your summer vacation next year to coincide with Niagara’s strawberry, cherry, and peach celebrations. 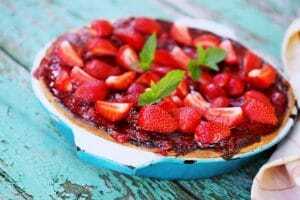 Typically held the third Saturday in June — making the next date to remember June 16, 2018 — the Strawberry Festival at Niagara-on-the-Lake celebrates absolutely everything about that heart-shaped, red berry. Organized by St. Andrew’s Presbyterian Church, the festival intends to educate locals and visitors about the area, benefit community groups and activities, and ensure everyone has good, wholesome fun. Additionally, there is plenty of barbecue foods, including the local favorite of grilled corn, so if you bring along someone who isn’t keen on strawberries, there will certainly be treats for them to enjoy, too. However, the Strawberry Festival isn’t just about indulging in delicious food. Visitors can take tours of the historic church and learn about the history of St. Andrews, Niagara-on-the-Lake, and the greater Niagara region. Every year, there is a silent auction with fantastic baskets and other prizes. Finally, small booths sell adorable accessories, books, and other trinkets. The Strawberry Festival is full of small-town charm — and it is just minutes away from big-city Niagara Falls. Perfectly timed to take advantage of the best weather of the Niagara valley, the Cherry Festival is always in early July. While the sun is shining bright and warm, you can explore the festival grounds around St. Mark’s Church in Niagara-on-the-Lake and celebrate the crispest, juiciest, sweetest cherries you will ever taste. Like the Strawberry Festival, the Cherry Festival does its best to place emphasis on everyone’s favorite small, round fruit. While cherry pies are easily the highlight of the event, there are dozens of other untraditional treats, including all sorts of cherry preserves. Stalls for vendors also abound; the clothing booth is usually a prime attraction, with all sorts of new and old styles to peruse. Also like the Strawberry Festival, the Cherry Festival is largely held as a fundraising endeavor for St. Marks Church, which is one of the most historic buildings in the region, dating back to 1790. As a result, there is a massive silent auction every year during the festival, during which concert tickets, vacations, and date nights are available to win. If you can’t wait to experience the next Cherry Festival, plan a Niagara vacation for July 7, 2018. The biggest fruit festival of them all, the Niagara-on-the-Lake Peach Festival is always a smash. Peaches are undoubtedly among the best fruits — juicy, tingly, and lusciously sweet — and the town goes all-out to celebrate their harvest in early August. You just missed Peach Festival 2017, which occurred on August 12 and 13, but you have plenty of time to make next year’s festival, which is slated for August 11 and 12, 2018. The Peach Festival is so grand because it is usually among the last big events during Niagara’s summer high season. Celebrations last two full days and extend into the night. 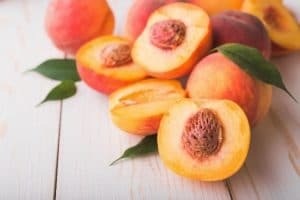 While the sun is up, you can explore local growers’ fresh-picked peaches in the marketplace, where local bakeries and restaurants have also set up shop, purveying traditional peachy delights, like cobbler, ice cream and marmalade, as well as less conventional peach treats, like peach shortcake and peach cheesecake. In fact, the entire length of Queen Street in Niagara-on-the-Lake is typically covered with merchants selling all sorts of knickknacks and keepsakes — peach-related and otherwise. Throughout the festival, live music from some of the area’s best bands accompany shoppers and revelers. This year, festival organizers were able to lock down The Toronto All Star Big Band, as well as The Ben Show, a street performer for all ages. Next year should be even bigger and better, and you don’t want to miss it. So reserve a room at a Niagara Falls Hotel during the fruit festival of your preference!